ADDIS ABABA, Nov 23 (Reuters):Ethiopia's prime minister urged lawmakers on Thursday to back plans to fight Somali Islamists who he said pose a "clear and present danger" after declaring holy war on Ethiopia. Prime Minister Meles Zenawi stopped short of declaring war against the Islamists who are Somalia's dominant power. But he said: "Their preparedness is serious and we must be in a position to use comparative force to blunt the intended invasion." "We are not saying that we will declare war against Somalia. It is the jihadists in the UIC (Union of Islamic Courts) who have repeatedly declared war on Ethiopia," he told parliament. Meles gave no details on what the plans might be, but security experts say Ethiopia has been massing troops and preparing for war against the Islamists and possibly Eritrea, which it accuses of backing them. The Islamists declared war against Ethiopia last month, accusing it of sending troops into Somalia to prop up the interim government of President Abdullahi Yusuf, marooned in the south-central Somali trading outpost of Baidoa. 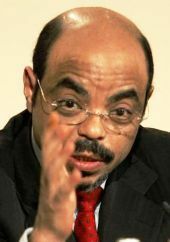 Since the Islamists rose to challenge the government in June, Meles has said he will defend Ethiopia from any attack and a U.N.-commissioned report says he has sent thousands of soldiers and weapons into Somalia to protect the government. "So far we have tolerated the jihadist provocation, but they are being supported by Eritrea and other groups who do not like us," Meles said. "But if the threat of jihad continues and our sovereign territory is violated we have the inherent right of self-defence," he said. "(The Islamists) have also ... openly declared an intention to take by force Ethiopian territory inhabited by the Somali ethnic group. 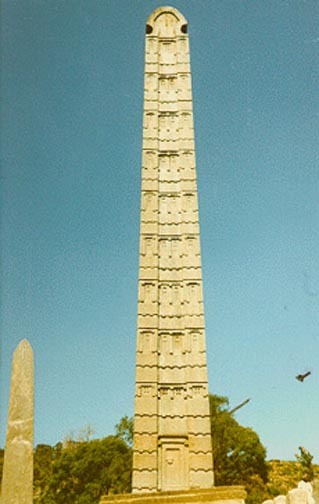 Their action poses a clear and present danger to Ethiopia," Meles said. Eritrea, which fought a border war with Ethiopia in 1998-2000, denies backing the Islamists in Somalia.